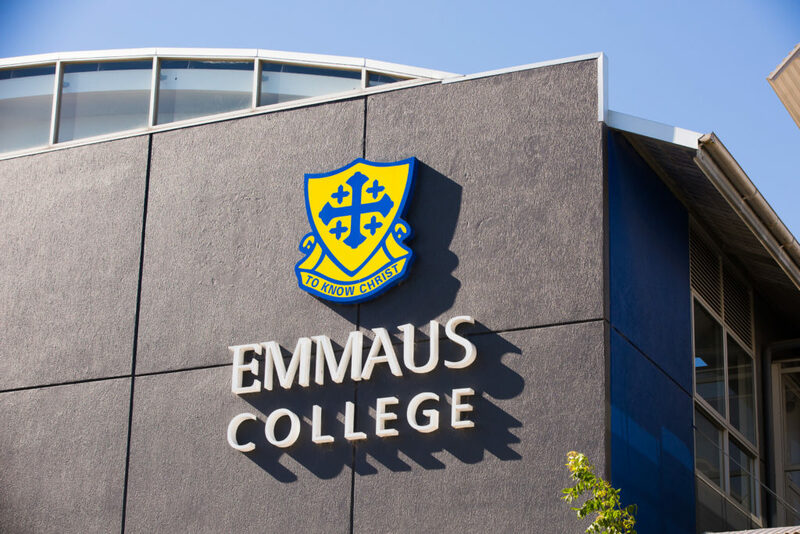 Emmaus College staff must be committed to the ethos of the College, professional and focussed on their approach to teaching and learning, and have a genuine interest in working with secondary school age students. Being a staff member at Emmaus College means membership of a vibrant, diverse and large school community with a continued focus on self, student and school improvement. Collegial support, respectful students and excellent physical facilities make Emmaus a workplace of choice for our staff. Staff are supported in their Professional Learning through school-based and external PL opportunities. The College Board supports financially staff who are involved in relevant further studies. Teaching staff are supplied with a school owned tablet computer as part of their employment conditions. There are currently no positions available at the school. The Emmaus College Code of Conduct and Child Safety Policy. That Emmaus College is committed to the safety, participation and empowerment of all children, including those with a disability. That Emmaus College is committed to cultural safety, inclusion and empowerment of Aboriginal children, their families and communities. That Emmaus College is committed to the safety, participation and empowerment of children from culturally and/or linguistically diverse backgrounds. Be aware that appropriate rigorous reference and background checking will be undertaken, including a Working with Children Check and police record and identity check. Statement of Principles Regarding Catholic Education.